RED HOT + GOLD surprise. 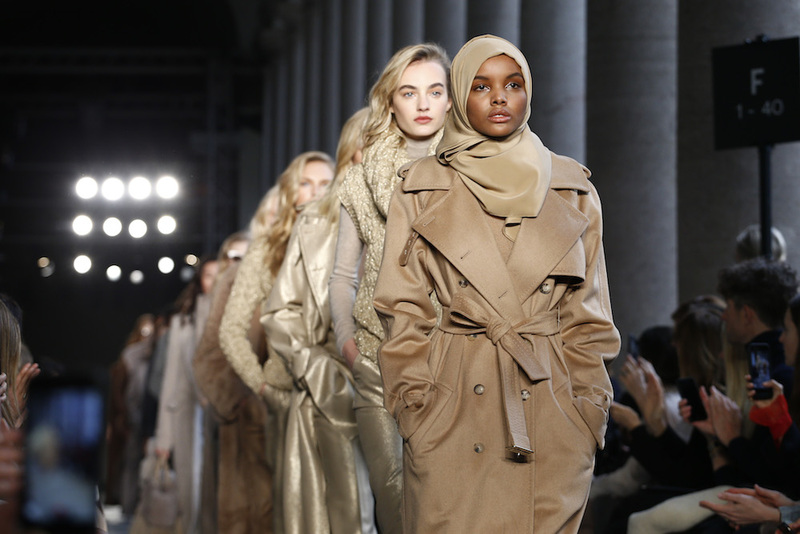 Highlights from MAXMARA fall 2017 collection featuring GiGi Hadid, Lily Donaldson, and a parade of elegant understaded shapes on the Milan catwalk. 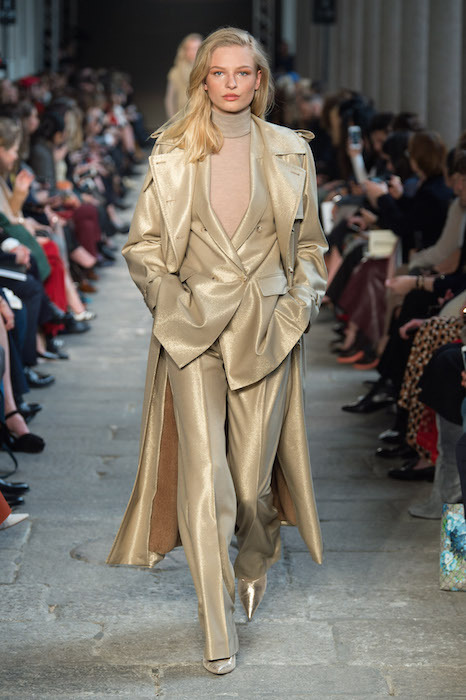 The 70’s Lauren Hutton -esque liquid gold on gold jacket, pants and trench is my absolute favorite look with chunky knit + gold combos next on the faves list. 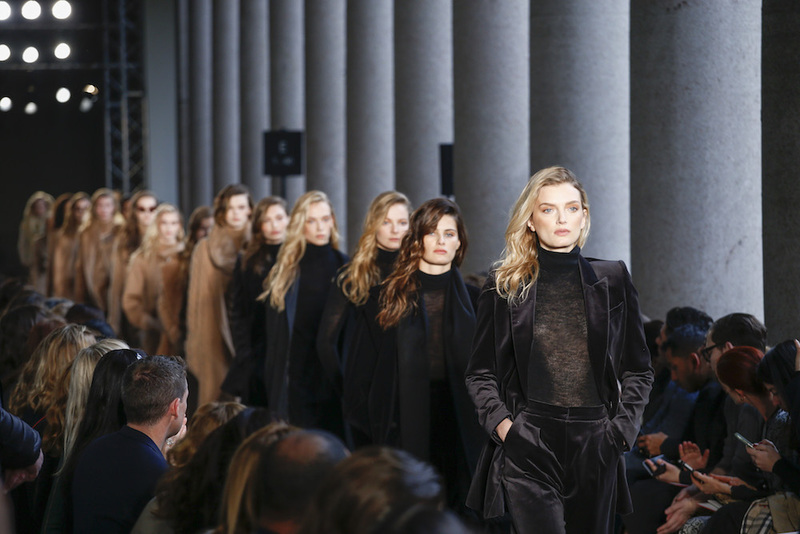 The show excudes variations of the empowered woman in a suit + trench with no limitations. With a new hot topic of diversity in fashion, the runway cast in this show became a hot topic. Kinglimaa (Halima Aden) and the head wrap captured the interest and attention globally- it seems even more than Gigi and supermodels. Here’s a few of the favorite looks. MAXMARA faves FW 17 Milan commentary + faves by Brigitte Segura. photo credit: Indigital // fashiondailymag edits. MAXMARA faves FW 17 Milan faves + selects by Brigitte Segura.